When asked to name the best wine producing countries in Europe, Spain isn’t usually the one that is top of mind for most people. More often than not France or Italy are likely to be mentioned with the highest frequency. But to overlook Spain or dismiss it as a distant third, fourth or even fifth, would be to miss out on some truly terrific wine. 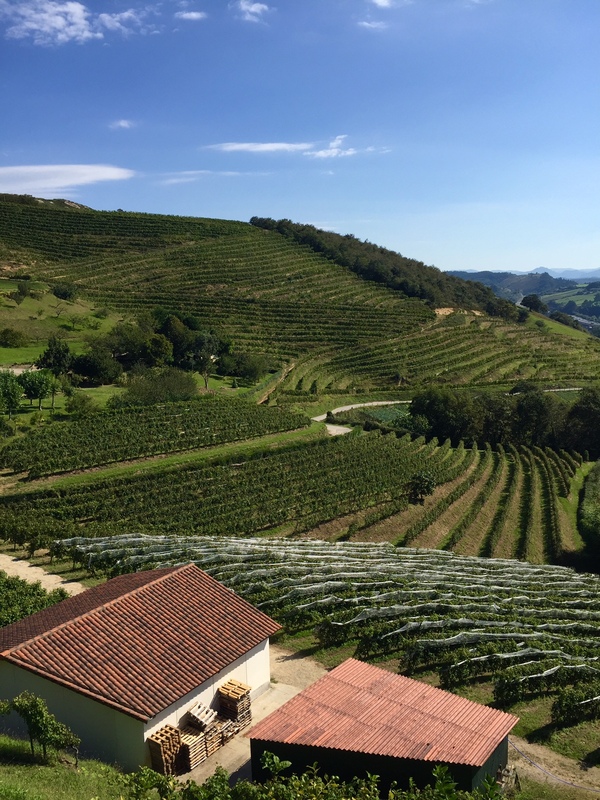 We have long enjoyed wines from Spain both for their quality and value, and our recent wine tour with Fine Vintage cemented that notion in no uncertain terms. It reaffirmed our belief that the top wines produced in Spain can stand alongside even the most esteemed wines made by its European peers, without the high prices that a Classified Growth Bordeaux, a Premier or Grand Cru Burgundy, or a Super Tuscan would command. Spain is also not likely the first country to come to mind with respect to land under vine. However, with 2.5 million acres of vineyards, it has the most in the world. And while wine making has been present in Spain for close to 3,000 years, modern wine making techniques have only been present over the last 30-40 years. As a result, a wonderful fusion of old world traditions combined with new world styles has emerged making for some very interesting techniques producing top quality wine. Madrid is a city worth mentioning, not for making wine but as a worthy stop on your way to wine country to kick start your palate. Most wine enthusiasts begin their pilgrimage here as Spain’s finest wine is largely found in the north. 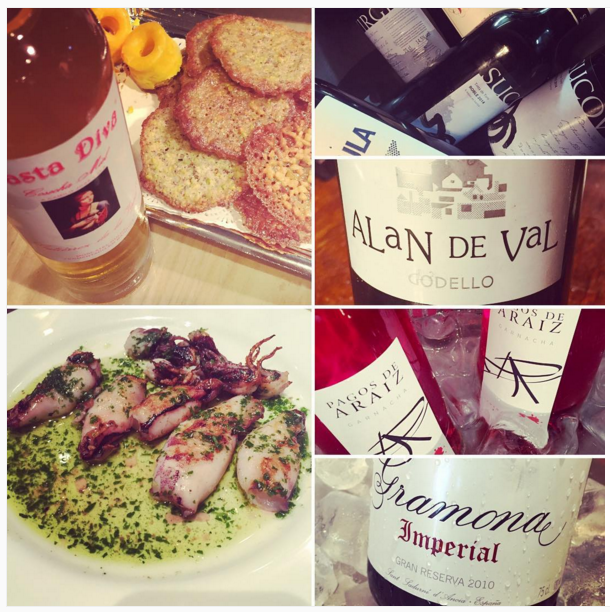 We learned firsthand that the best way to explore this city is through its wine and tapas bars. Under the guidance of our exceptional leaders Jeremy Shaw and James Lawther, we wandered through the city tasting at 5 separate places, each with their own distinct personality. Our stops featured vintage Cava paired with Lagostina shrimp, white wine from Rueda with squid and peppers, a Tempranillo from Rioja accompanying a local rice and bean dish, and a stop at La Venencia, a sherry bar still living in its Communist past that forbids photos or tipping, and where the bartender still calculates your bill directly on top of the bar with a piece of chalk. From Madrid, we headed northwest to Rueda, the Denominación de Origen (DO) that covers wines in the Castilla-y-León region. Here the dominant variety is Verdejo, a grape that is indigenous to the area which produces a dry and aromatic white wine that is rapidly growing in popularity worldwide. 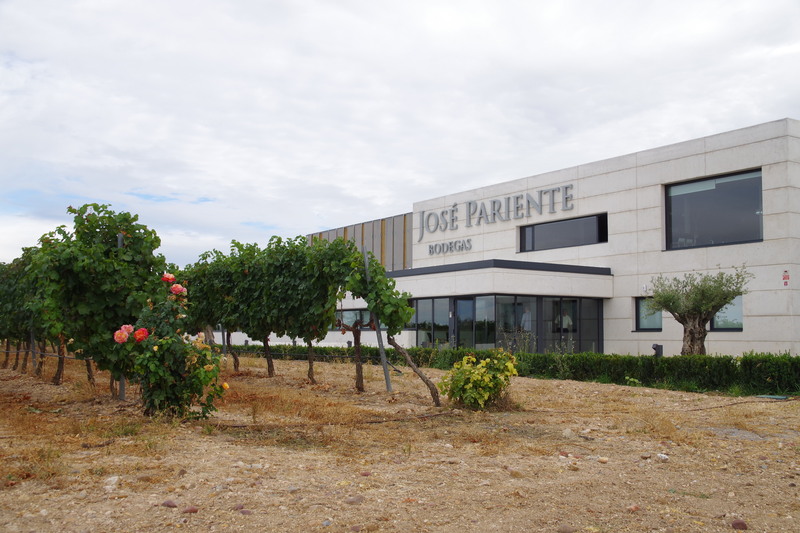 We had the opportunity to taste at Bodegas José Pariente, one of the top white wine producers in Rueda. A true family winery, it is run by Victoria Pariente and her daughter Martina. Named after Victoria’s father, the winery pays homage, both in name and quality, to his passion for well-made white wine. From the white wine region of Rueda our next stop was Ribera del Duero, a region known for its red grapes, specifically Tempranillo, or ‘Tinto Fino’ as it’s referred to locally. Here the spectrum of new and old is on full display. The wines are dark in colour and offer robust flavours of dark cherry and raspberry. While Abadia Retuerte is one of the most modern wineries we have visited to date, ironically the property surrounds a 12th Century Monastery lending itself to the Bodegas’ name. 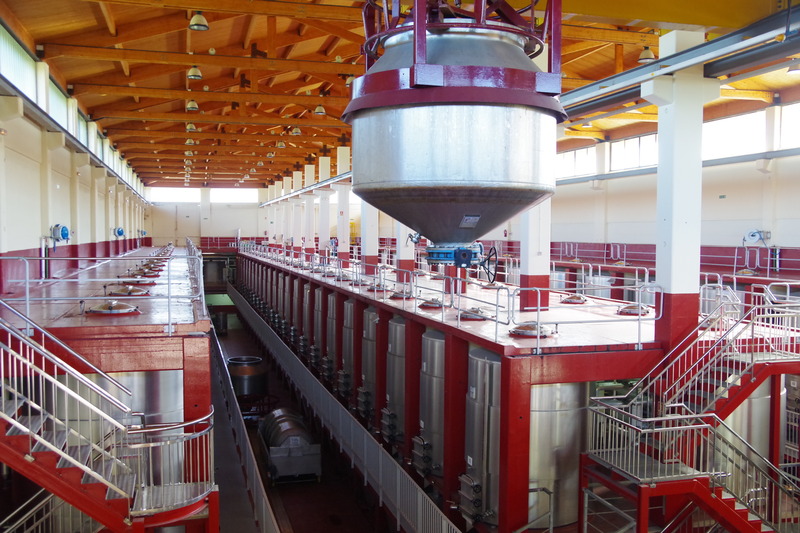 But step inside the winemaking facility and you see state-of-the-art machinery used for every aspect of the winemaking process. From there we visited AALTO, another very modern winery that is considered one of the area’s best red wine producers despite having been founded just 17 years ago. It’s no surprise that this winery has skyrocketed to the top of wine lists worldwide when you take into consideration its pedigree. 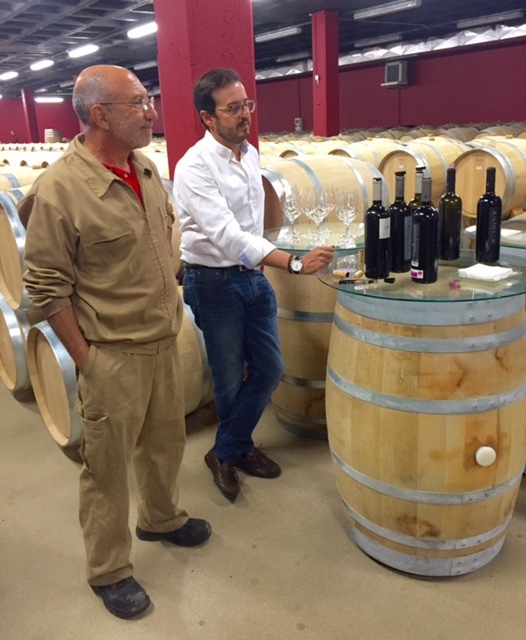 Mariano Garcia (Vega Sicilia’s Director of Winemaking for 30 years) and Javier Zaccagnini (head of Ribera del Duero’s regulatory council) are the brains and passion behind the winery that makes just two wines: the AALTO and AALTO PS (Pagos Seleccionados meaning coming from select blocks within the vineyard). There is no tasting room and they don’t usually receive visitors, but thanks to Fine Vintage we were treated to an exclusive tasting in their barrel room of the 2012 and 2014 vintages of both wines. Of all 61 wines tasted throughout our trip the 2014 AALTO PS was one of the 2 that received our “extraordinary” rating. With harvest in full-swing, co-founder Javier Zaccagnini stopped by for a brief chat and was very optimistic about this year’s vintage. Probably our most memorable visit to the region was to Grupo Pesquera where we were personally hosted for lunch by Alejandro Fernandez also known as El Rey de Tempranillo (the King of Tempranillo). He was one of the first to make 100% Tempranillo wines aged in American oak and is credited with playing a large role in putting the region of Ribera del Duero on the world wine map. Our afternoon with Alejandro featured great wine paired with fantastic food, singing, dancing, and 180 degree views from the site of his private Bodega. At 84 years young, he’s a model of how the pleasures of the table are truly the key to living life right. The region of La Rioja is almost exclusively Tempranillo country and is also the area most generally associated with quality Spanish wine. 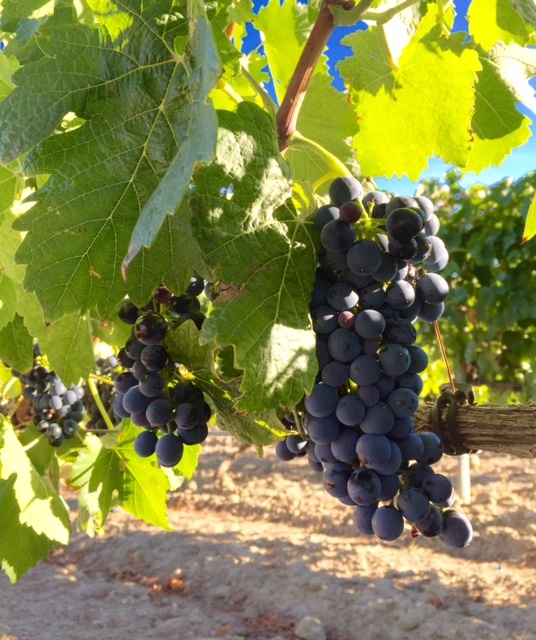 The Tempranillo grape is indigenous to the area and has been harvested there for thousands of years. The wines produced in Rioja are structured but elegant, generally more finessed than those from Ribera, and will easily stand the test of time in a cellar. Remelluri was our first visit in Rioja and we couldn’t have enjoyed a more auspicious introduction to this storied region. 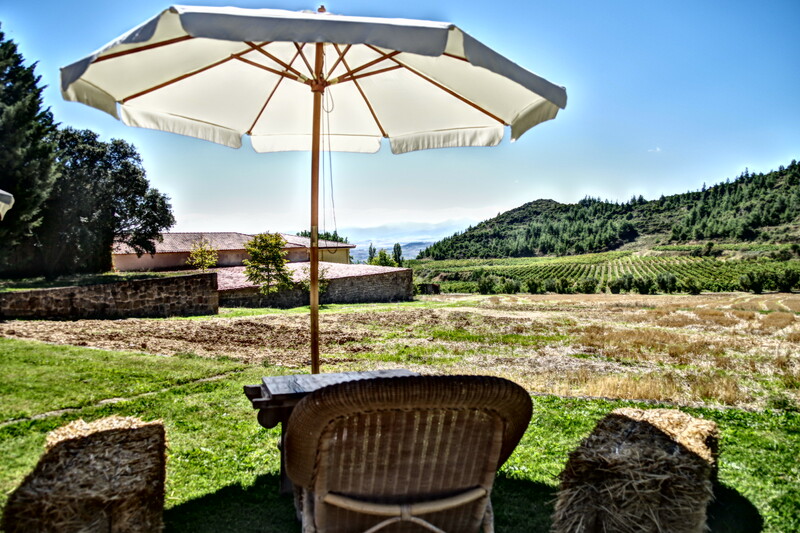 The estate is stunning, surrounded by vineyards with sweeping views as far as the eye can see. The use of the land itself has a long history dating back to the 15th Century when Monks had settled it for farming. Today the property is 154 hectares of which 105 hectares contain the vineyards that produce Remelluri’s wines. Jaime Rodriguez Salis and his sister Amaya Hernandorena have been the proprietors since 1967 and the winery is considered one of the best in Rioja. Their son Telmo is now the winemaker and is world renown for his wine projects throughout Spain. Amaya greeted us and took us for a short tour of the grounds where we ended up at the family chapel. Just outside under a vine covered gazebo we were treated to a tasting of their 1982 Labastida Rioja Alavesa and 1998 Reserva. The wines were nothing short of excellent, revealing an elegance and complexity that the winery has become famous for and proof that wines from the region are definitely age-worthy. We followed up that tasting with a spectacular lunch at the estate that featured their 2001 Reserva and 2009 Gran Reserva. From Remelluri we made our way to Bodegas Remirez de Ganuza, a winery known as much for its innovation as its wine. 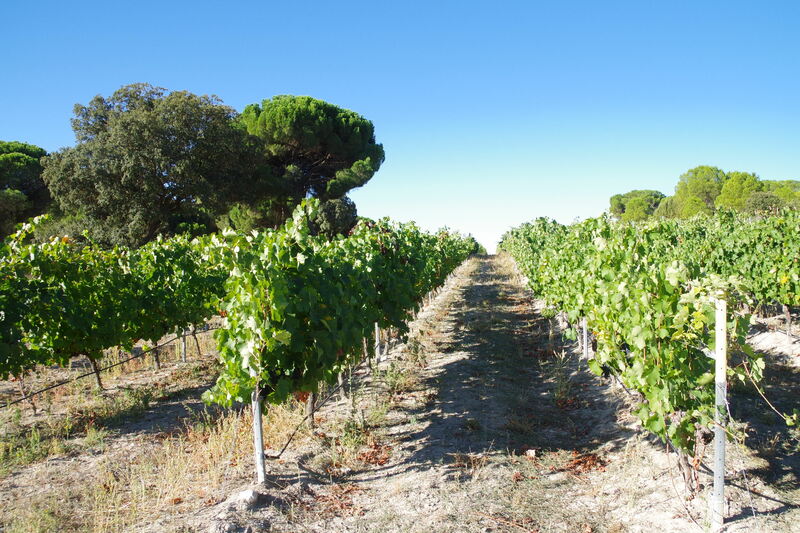 Proprietor Fernando Remirez de Ganuza was in the business of buying and selling vineyards and eventually found a vineyard for his own project which he founded in 1989. Fernando is a visionary, constantly searching for ways to improve any part of the winemaking process that might produce a better result. For example, we happened to be there during harvest and one of the sorting techniques he employs is to separate the tips from the shoulders of a grape cluster. The shoulders he considers to be the best part of the bunch as they get more sunlight and those from the best bunches are used for their flagship wine. This is a technique we’ve never heard of before nor was the winery aware of anyone else also using it. 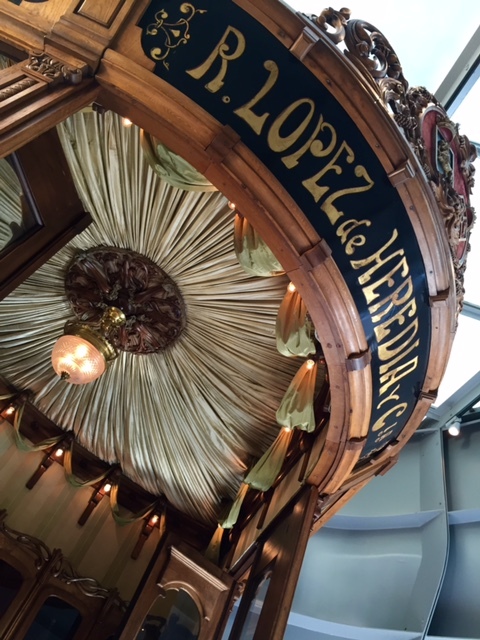 On the complete opposite end of the spectrum to Remirez de Ganuza is Lopez de Heredia, a 140 year old winery steeped in history and tradition that still uses techniques from their original founder and continues to belong to the same family some 4 generations later. Visiting the winery and touring through its barrel room and tunnels is to step back in time. While their tasting room has a very modern exterior design in the shape of a decanter, it was specifically created with the help of world renowned architect Zaha Hadid in order to enclose and protect the original wooden selling stand used in the early 1900s that sits inside the tasting room and is still used today. All of the vines at Lopez de Heredia are bush vines which means no trellising is used allowing for no machine harvesting so all grapes must be picked by hand. 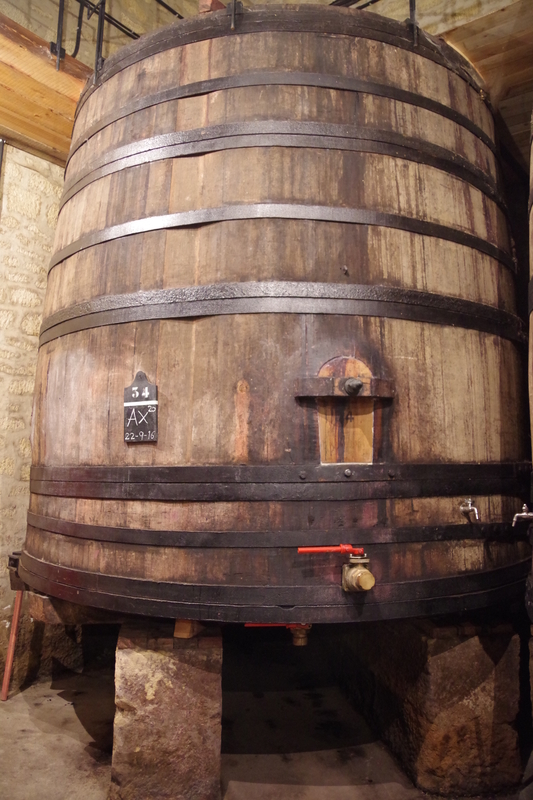 The winery’s large European oak vats are more than 100 years old and still in use thanks to the fact they house their own cooperage. As a result, repairs and maintenance can be done regularly as needed. The benefit of using such old vats is that they have yeast growing on the inside walls meaning there is no need to add industrial yeast. Our visit concluded with a tasting of their 2003 Viña Tondonia white Reserva, the 1995 Viña Tondonia Gran Reserva (which received our other Extraordinary rating), and the 2004 Viña Tondonia Reserva. All three drinking beautifully reaffirming how well wines from this region age. Probably the biggest surprise was the white. At 13 years old it was wonderfully smooth and complex, yet still showing a notable freshness. In similar fashion, Bodega Luis Cañas is another family winery in the region that dates back four generations. 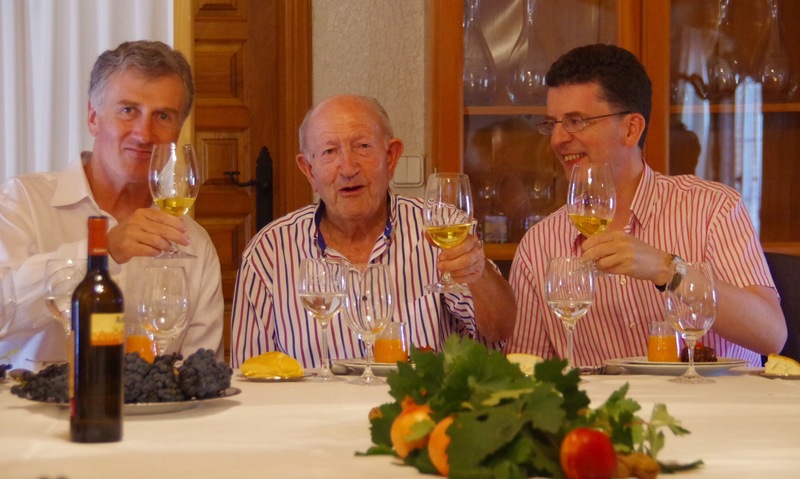 Despite having made wine for many years, the winery as it is known today was officially founded in 1970. In 1989, Luis passed on the family business to his son Juan and the winery has continued to evolve adding modern techniques while maintaining a focus on its traditional values. But don’t think that at 87 years old Luis is retired by any means. He visits the winery every day without fail to taste the wine and “keep an eye on things”. Sustainability is a major focus of the winery today as they maximize natural resources and mechanisms and forbid the use of herbicides or synthetic fertilizers. In fact, they are the first winery in Spain to obtain the BRC Protocol with AENOR, the ISO 14.000, and the ISO 9.002 quality certification. What was abundantly clear when tasting their lineup of wines was the exceptional value of Luis Cañas wines. At $12 a bottle, their cask-fermented Blanco is an absolute steal. We followed that up with the 2010 Ángeles de Amaren Tempranillo y Graciano, the 2014 Cair Cuvée, and the 2010 Luis Cañas Reserva red, which all were surprisingly inexpensive given the level of quality. Apart from wine and food, Spain is well known for its love of architecture, whether it’s Gaudi’s work in Barcelona or the Baroque architecture that is prominent throughout Madrid. 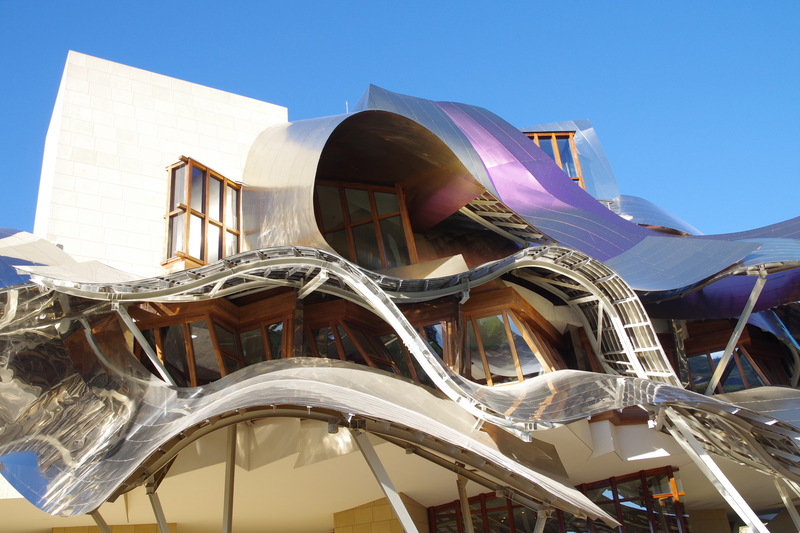 At Marqués de Riscal winery it’s impossible not to gawk at the spectacular onsite hotel designed by Canadian architect Frank Gehry. The ultra-modern design sits at the heart of the winery’s property in stark contrast to its historical surroundings. Somehow it works, once again demonstrating Spain’s ability to seamlessly merge tradition with innovation. But don’t let the visual spectacle distract you from the quality of their wine. We were treated to a terrific tasting of the 2006 Herederos Del Marqués de Riscal Gran Reserva, the 2011 Baron de Chirel Reserva, the 2012 Herederos Del Marqués de Riscal Reserva, and 2015 Riscal Tempranillo. We were also introduced to a fun demonstration of an old world tradition of opening an aged bottle when there’s concern the cork may disintegrate. Large metal tongs are heated by open flame until red hot. The tongs are then placed around the neck of the bottle for approximately one minute making a clean break without disturbing the cork. Our final stop in Rioja was Finca Valpiedra, yet another winery that has been making wine for over a century. 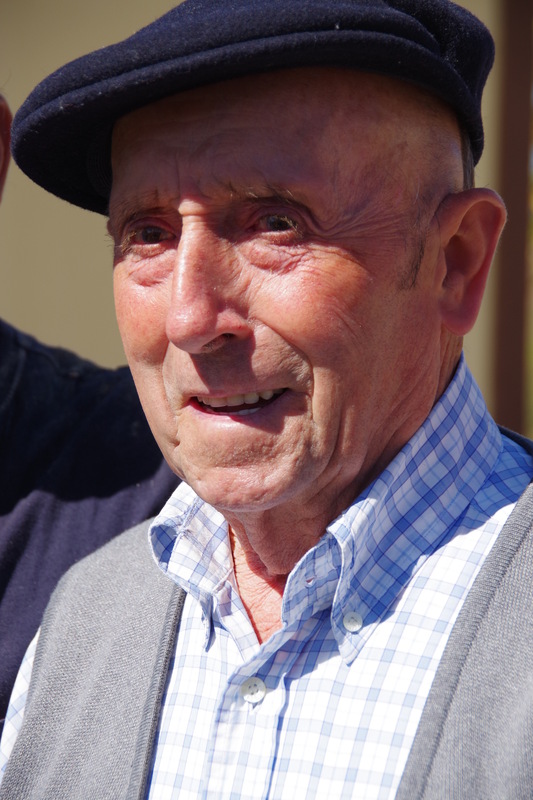 Founder Joaquín Martínez-Bujanda’s great-grandchildren Carlos and Pilar are now at the helm making single vineyard wine since 1999. 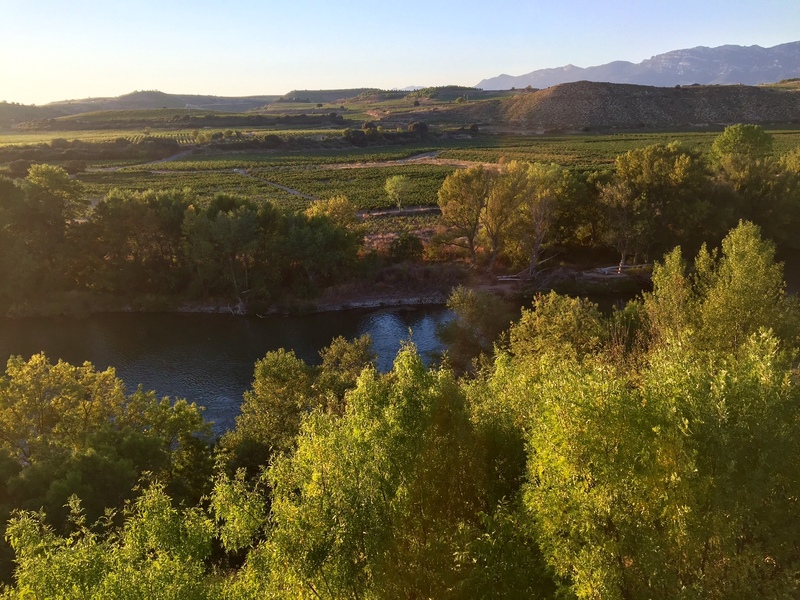 The winery sits at the ‘elbow’ of the Ebro River and its name translates to “Stone Valley”, a reference to the pebbles from the river which populate the soil. According to our guides, it is the only winery in Rioja to qualify for the title of Gran Pago or top single estate vineyard. The property is spectacular made only more so by the vertical wine tasting we were treated to at sunset. As much as the painted sky impressed, it was only outmatched by the opportunity to taste Valpiedra’s Reservas from 1994, 2001, 2005, and 2010. 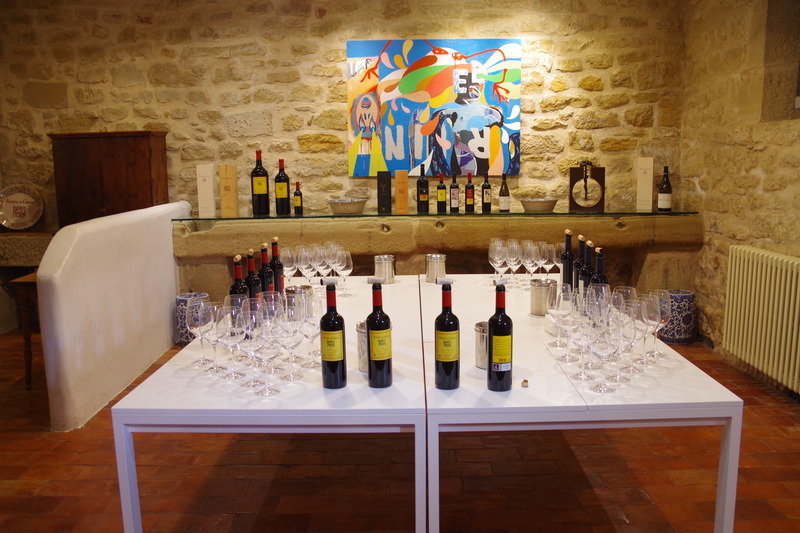 The dinner that then followed featured the 2009 Reserva paired with the multi-course preparations of the Echapresto brothers who own and run Michelin rated Ventamoncalvillo Restaurant in Daroca. As we moved on to Bilbao, the views transformed from a flat valley landscape to steep bluffs overlooking the picturesque coast. We stopped at Talai Berri one of the premier producers of Txakoli, a Basque white wine that until this trip we had never tasted before. We were afforded another stunning view where the seemingly endless rows of vines are only interrupted by a portion of the Camino de Santiago trail that cuts through the landscape. Visiting Spain impressed us on absolutely every level. It is a country that not only produces quality wine, it has the culinary merit to match alongside a stunning countryside making it a very desirable destination for wine, food, and art aficionados alike. Without question, Fine Vintage’s tour elevated our experience to a level we simply would not have been able to achieve on our own. Exclusive winery access, excellent food pairings, first-rate accommodation, and the incredible depth of knowledge of our guides resulted in a truly once in a lifetime experience.